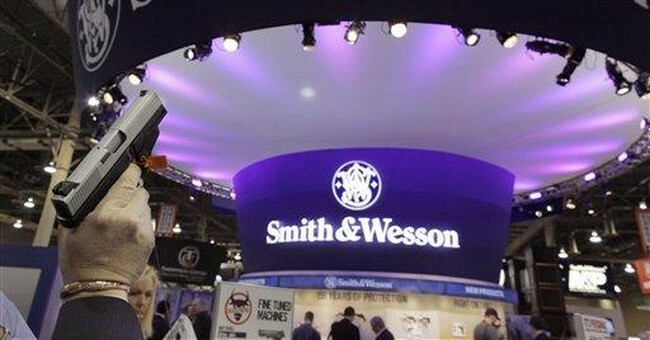 A while back, a group of activists bought shares of Smith & Wesson to try and force the company into what they saw as a more socially responsible direction. Of course, that’s all a bunch of male bovine excrement, but what else do we expect from anti-gunners? What they accomplished was to push the company to conduct a study on product safety, which was supposedly a major victory. Well, Smith & Wesson conducted the study, and it’s unlikely the activists will like it. The report also points out that the activists represented a small percentage of its shareholders. Still, they were enough to push for the study to be done in the first place, so it’s probably wise not to dismiss them entirely. Of course, this is also probably why it’s a good idea for pro-Second Amendment activists to step up and invest in gun companies. There’s no reason to allow anti-gunners to infect these companies and steer them in the wrong direction. The anti-gunners’ victories last year, while small, was enough to embolden them and likely made some decide to join their ranks. It’s time to play a little defense and let these gun grabbers learn that there are a lot more of us than there are of them in the next corporate meeting.